Become a Bus Operator and Drive Towards Your Dream Job! Bus Operators earn $22.11/hour after training and can potentially make up to $31.57/hour after four years. Employee monthly contribution for medical, dental, and vision is a flat rate of $120 with unlimited number of qualified dependents. 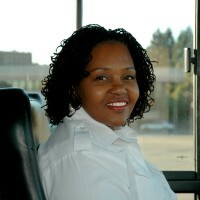 As a Bus Operator representing the District, you are the face of AC Transit. For this reason, we seek customer service and safety-oriented candidates. Start your career with us and you would become part of an extended family of individuals who are passionate about making a difference in the community. Previous Bus Operator or commercial driving experience is not required. We will provide a nine (9) week paid training program consisting of both classroom and behind-the-wheel instruction. This is an excellent opportunity to learn transit from the ground up. AC Transit has excellent compensation and benefits package. Read below to find out how you can become a Bus Operator for AC Transit. Must be available to work nights, weekends, holidays, and all shifts. No more than one (1) moving violation in the past three (3) years. No At-Fault accidents in the past three (3) years. No “Failures to Appear” or “Failures to Pay” in the last three (3) years. No suspensions in the last three (3) years. No Reckless Driving (23103) or driving under the influence (DUI – 23152) in the last seven (7) years. No pattern of irresponsible driving or irresponsibility related to driving. Other violations and/or accidents will be reviewed on a case-by-case basis and may be cause for non-selection. Must be able to obtain, at your own expense, a CA Class B learner’s permit with both Passenger (P) and Air Brake endorsements. (You do not need a Class B license or permit to apply for this position). Must pass a Department of Transportation (DOT) physical examination, including drug and alcohol screening tests. Must pass criminal background check with the Department of Justice. All eligible candidates will be fingerprinted and screened for criminal history. Have no loss of a foot, leg, hand, or arm, and be able to bend and control all of said limbs in order to grasp or push and otherwise operate all driving controls in an skillful manner without prostheses. Walk to enter and exit the vehicle. Ability to bend, crouch, and/or kneel and balance while simultaneously manipulating and fastening tie-down straps. After an initial screening of applications for minimum qualifications, the best qualified applicants will be invited to the various divisions (GO-Downtown Oakland, Hayward, Emeryville, East Oakland, or Richmond) for an in-person interview. Failure to pass the in-person interview will result in disqualification. Candidates who successfully pass the in-person interview will be notified by email to submit a current DMV K4 driving record from the California Department of Motor Vehicles. If the candidate has been out of California for all or part of the past ten years, a 10-year DMV printout from the applicable state/country must be submitted. (Note: The printout must be dated within 30 days of the request). If the DMV printout indicates accident(s) in the past three years, the applicant must provide an insurance report or police report showing that the applicant did not contribute to the cause of the accident. Failure to submit your DMV printout in the designated timeframe will result in disqualification. Eligible candidates will be required to be fingerprinted and complete a Conviction History form. Failure to disclose pertinent criminal background information or providing incorrect or false information is considered falsification, and results in disqualification. A conviction is not necessarily a bar from employment. Each case is given individual consideration on a case-by-case basis. Candidates will be required to pass a Department of Transportation (DOT) physical examination, including drug and alcohol screening tests. (Examination and tests are paid for by the District) Failure to successfully pass the exam and screening tests will result in disqualification. Candidates will be required to obtain, at your own expense, a Class B commercial learner’s permit with both Passenger (P) and Air Brake Endorsements prior to starting the Bus Operator training program. The nine (9) week paid training program will include both classroom and behind-the-wheel instruction. Failure to obtain the required permit and endorsements will result in disqualification. Candidates will be required to provide two (2) professional references. One of the references must be from a current or former supervisor. Failure to submit your references during the specified time period will result in disqualification. Upon hire, new Bus Operators will begin their employment by attending the 9 week Operator training program. All employees must successfully complete the 9 week Operator training program consisting of both classroom and behind-the-wheel instruction. Failure to complete the training program will result in termination.